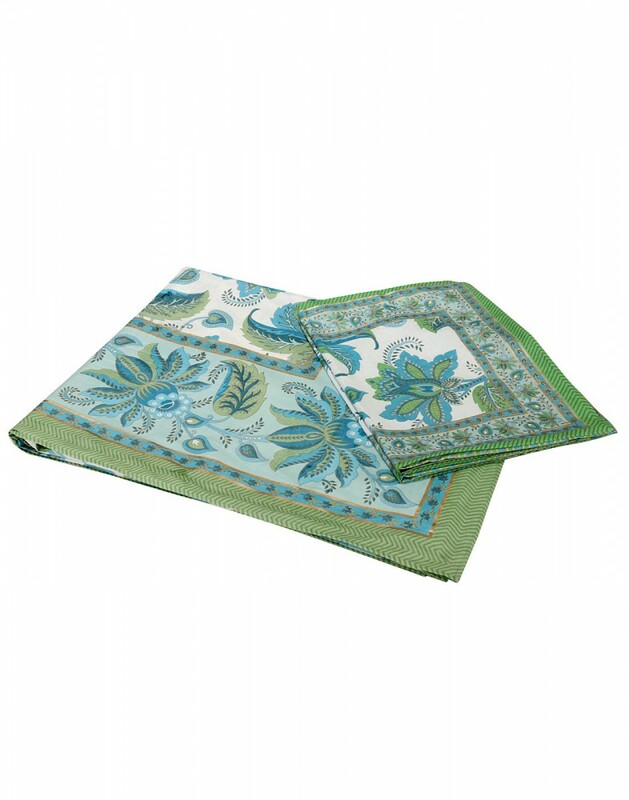 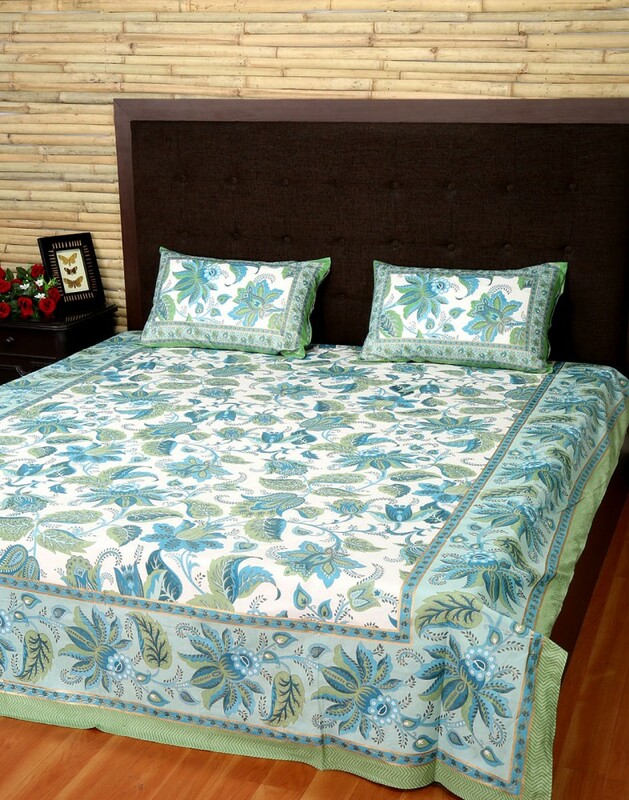 Get home this attractive cotton bed sheet set for the summers. 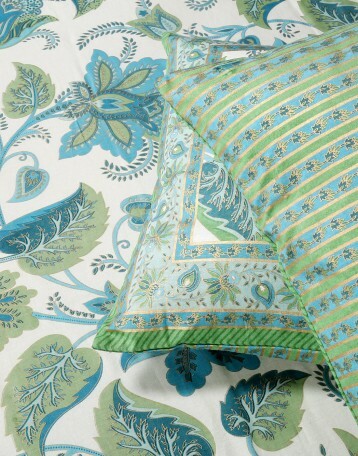 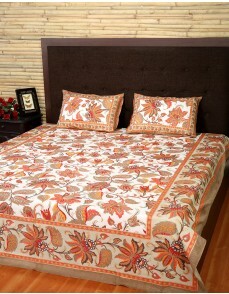 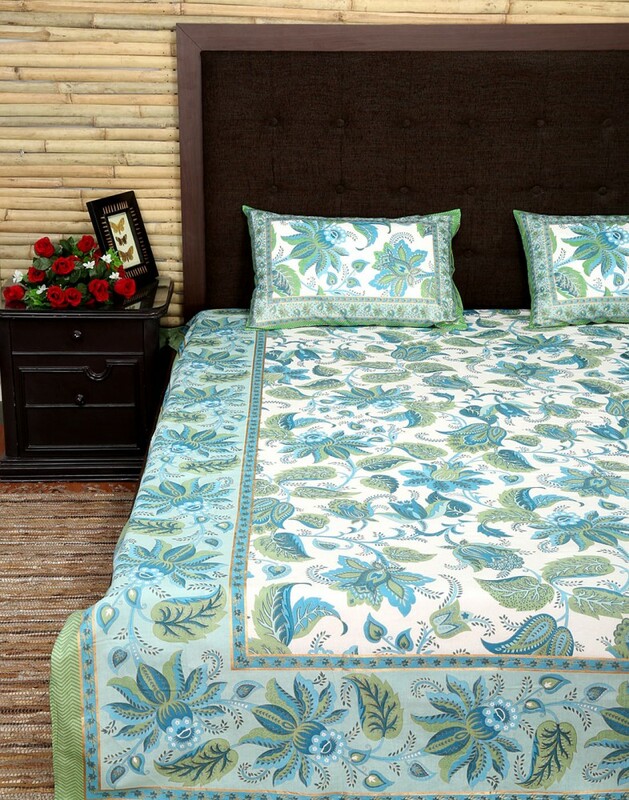 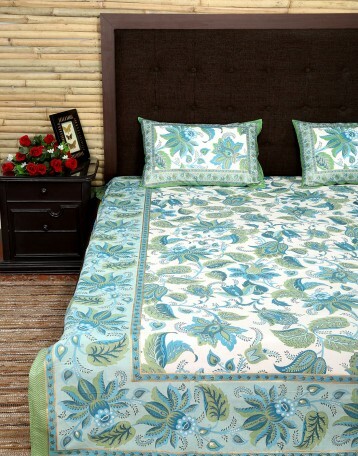 The floral prints all over the double size bed sheet looks extremely soothing and calm. 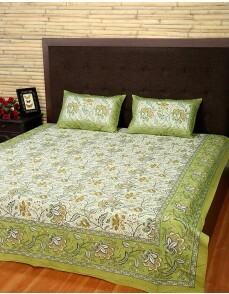 100% cotton made for the soft feel and comfort. 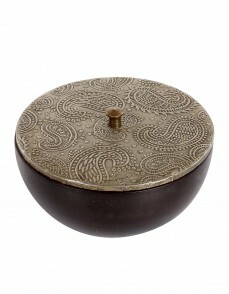 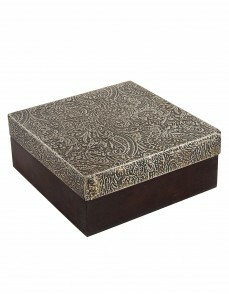 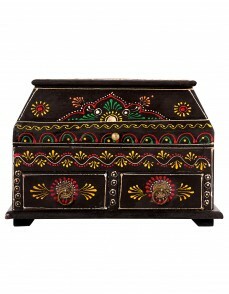 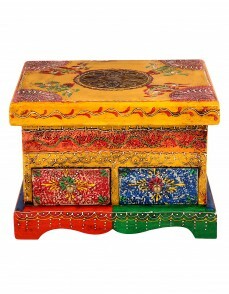 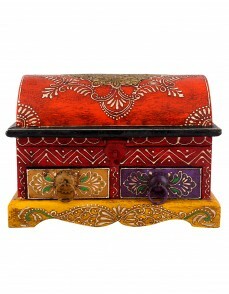 Further embellished with the gold prints. 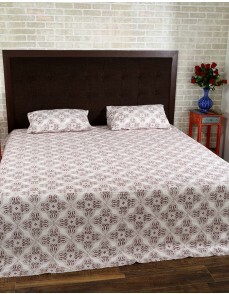 High quality fabric for long life and easy use. Light prints are the perfect choice for the summer season.The luxury bed sheet that comes with the two printed pillow covers. 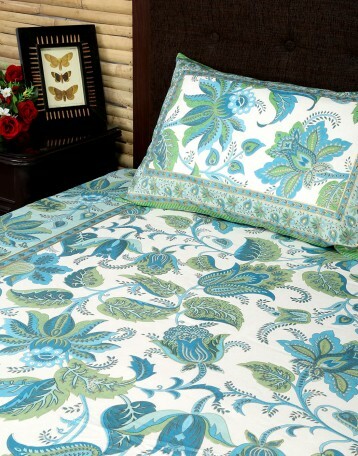 Dry clean the bed linen to avoid color fading.